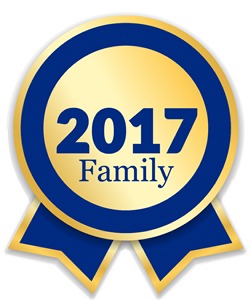 Here we are, in the last days of 2017, and The Legal Genealogist is once again taking just a moment to think back and reflect. It’s Saturday… the day I usually focus on my family here in the blog. And it’s almost Christmas Eve … a day when most of us try very hard to keep the focus on our families. So here on this Saturday, I’m taking a moment to look back on a year’s worth of once-a-week blog posts about my family… the blog posts that mean the most to me individually — and that often resonate the most deeply with readers. Sometimes, a family post will break into the top posts overall for the blog for the year — but more often they’re simply the ones nearest and dearest to me. Thank you so much for sharing yourself, your research, your values, with us all in your blog. You educate us, you exhort us, you remind us, you touch our hearts, you make us smile. You are a very bright light in the genealogy community. I am so pleased I was able to meet you in person once [Tacoma] this year. Have a wonderful year next year, filled with good people and interesting surprises! Cheers. It was great to meet you and put a face with the name! Have a great holiday and terrific 2018! I second Celia. Yours is my favorite genealogy blog. The best to you and yours (cats included–mine turns 22 Jan 1) this year, including all the dear departed you share with us. We don’t have to approve of everything they do, or how they’d behave if they ever met each other, to gather them into our family tree. The one I’m proudest of this year is a first cousin once removed named Jamie Johnston, who passed the exam for her PhD at a Norwegian university early this month. She’s been working on it for years in a language not native to her, has a husband, and is raising 3 kids born in 3 different countries! Yay Jamie! Thank You Judy! Your that Big Sister we all want! Your blog pieces have been so informative and a must teaching tool. You take the drudgery out of research, day in and day out. I always say I can do it, Judy showed us how to do that part! Merry Christmas Sister! And a very Merry Christmas to you and yours, True! Thank you, Judy. I’m getting older too. Your post reminded me that 2018 is a new year with new possibilities. Onward to a new fruitful year. I have only recently discovered your blog. I love reading your posts. I will have to read those ones you’ve listed.